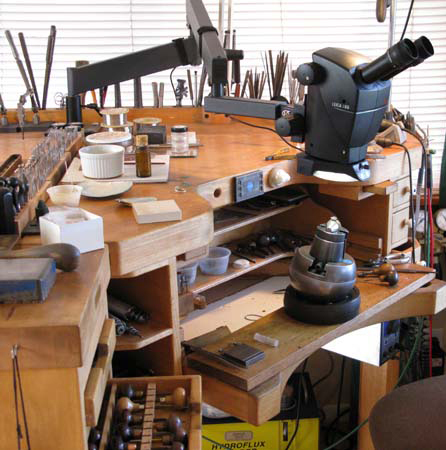 Awesome Deal on Engraving and Stone Setting Microscope! The Leica A60-F Microscope (including Flex Arm Stand and LED Ring Light) delivers premium optics, world class engineering, and full features at an incredibly affordable price. Add to that the Objective Lens and cover, and you have a truly awesome deal! Compared to conventional stereo microscopes, the Leica A60 F gives you 100% more depth of field. The energy-saving LED illuminator makes lamp replacement unnecessary, lowers operating costs and protects your eyes with the diffuser. Includes Microscope, Flex Arm Stand, LED Ring Light and Lens Shield - and power cord! Objective Lenses for expanded field of view and greater working distances are optional (See note below). Comes standard with Table Clamp. Benchtop or Wall Mounts available as additional options. Increased productivity, optimum visibility of products and components, easy processing of subassemblies  industrial production of electronic components and medical devices requires a highly specialized microscope. Optimally suited to the requirements of micro-manufacturing, the Leica A60 stereomicroscope system can effectively increase productivity. With sophisticated Leica Microsystems' precision optics, working with the microscope is significantly faster and more convenient. A low cost of ownership makes the Leica A60 an investment that pays off. Ergonomic design is a prerequisite for increased comfort and convenience during work and more performance capacity, which can lead to a higher quality end product. The Leica A60 is optimized for long periods of continuous use, can be used intuitively, and quickly adapts to different users. The Leica A60 offers two types of LED illumination, for matte or reflective specimens, to ensure fatigue-free, accurate work. For more technical information, please download Leica's A60 Brochure by clicking here. Please contact us directly through e-mail or by phone prior to ordering to obtain custom shipping quotes. Website quotes are optimized for Domestic US Shipping. Due to international credit card fraud issues, orders may need to be placed via PayPal invoices or paid via international bank wire transfer. Manufacturer's warranty is a 5 year warranty - first two years on parts and labor, last three years on parts only - on the microscope and stand. There is a 1 year warranty on the LED Ring Light. The Leica A60F is a Game Changer for me! I engrave Guns 90% of the time, with 10% being knives and western tack. I have been searching for a replacement for a damaged Wild M3Z. I called Tira and discussed my working needs. She, being a fellow engraver, knew exactly what I was describing and what concerns I had in finding the perfect microscope set-up. We concluded that the A60F would "more" than fulfill my needs. The Clarity is amazing. Depth of field, amazing. Zoom focus and the LED are top shelf!. My M3Z was a good microscope. This is a "phenomenal" microscope. I am more physically comfortable while doing Bulino, sculpting, and gold inlays. No neck strain or eye fatigue. I opted for the .5x Objective for the increased space. All in all, one of the best pieces of equipment I have ever purchased and the help of Tira was pure priceless. Click the button below to add the Leica A60-F Microscope with Flex Arm Stand Set and Objective Lens Special to your wish list.